Angelshark (Squatina squatina) | Better Know a Fish! 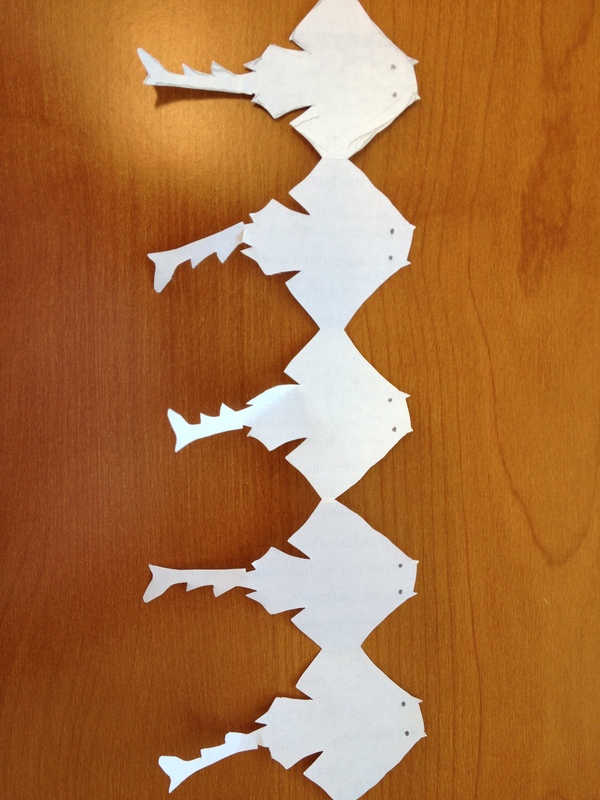 Why make paper angels when you can make paper angelsharks? Okay, so maybe I got a little carried away when I was clearing scrap paper from my desk. But it’s another opportunity to better know a fish! Angelsharks (Squatina squatina) are named for their large, wing-like pectoral fins, resembling that of the arching wings of angels in Christian traditions. Camouflaged and blending into sandy and graveled seafloors, angelsharks wait motionlessly for their prey. If you watch enough nature programs on television, you are probably already familiar with the footage of a Pacific angelshark (Squatina californica) attacking a small horn shark (Heterodontus francisci). Reaching a maximum length of almost 6 feet (180 cm) in length — human-sized — Squatina squatina is found in the seas off of northern Africa, Europe and in the Mediterranean. It is one of at least 20 known angelshark species found in various seas around the world, all belonging to Order Squatiniformes. Angelsharks and their unique bodies have long swam the oceans of our planet. Fossil evidence suggests that angelsharks originated as far back as 157 million years ago — the late Jurassic Period — making them contemporaries of dinosaurs (Klug and Kriwet 2013). So that’s how far angelsharks go back. But where do they really come from? Their mothers, of course. And via live birth. Shark reproductive strategies vary widely, and in angelsharks, an embryo develops without placental attachment to the mother, but instead is nourished by an attached yolk sac. In this BBC News video clip, you can watch the assisted birth of angelshark pups, and see an endoscope view of angelshark embryos in utero. This entry was posted in Chondrichthyes, Marine Fish, Squatiniformes and tagged Angel Shark, Angelshark, angelsharks, Atlantic Ocean, Mediterranean, sharks, Squatina, Squatina squatina, Squatinidae, Squatiniformes. Bookmark the permalink.